Oxfam with the support of the European Union has distributed dry season farming inputs to farmers in Kebbi and Adawawa States in its bid to improve livelihoods of small holder farmers. 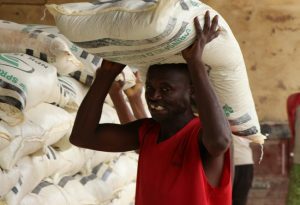 The distribution was part of Pro Resilience Action (PROACT) Project, an European Union Support to Food Security and Resilience in Northern Nigeria. 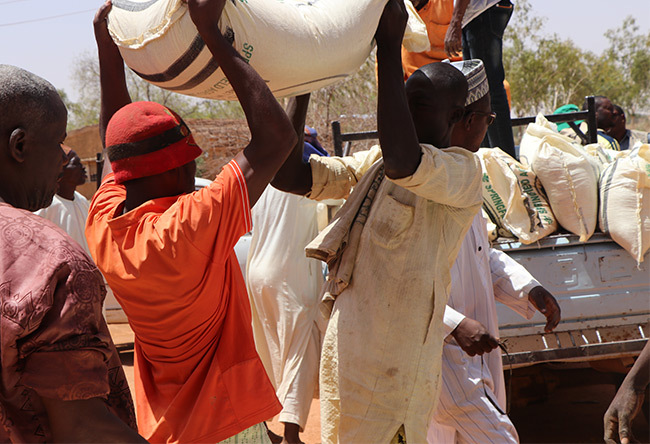 Six thousand bags of fertilizer were distributed to 1,500 farmers as 400 surface irrigation water pumps were also handed over to over 62 farmers groups in Jega and Birnin Kebbi Local Governments of Kebbi States while 4,800 bags of fertilizer and over 400 water pumps were distributed to dry season farmers in Fofure and Guyuk Local Governments of Adamawa State for the 2017 dry season farming activities. 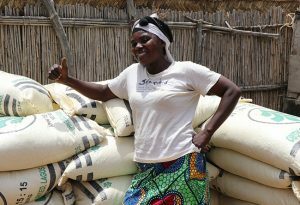 In the first phase of support, total number 625 farmers are benefiting from the dry season farming inputs out of which 350 are women in Adamawa. In Kebbi, of the 1,500 beneficiaries, 590 are women. 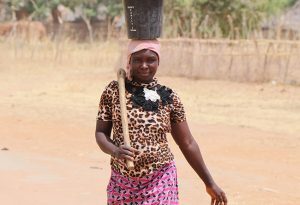 Oxfam believes fertilizers and irrigation water pumps are critical to dry season farming production in the states and most small holder farmers have been having challenges accessing these inputs. During the official flag off ceremony in Yola, the Deputy Governor of the State, Eng. Martins Babale warned farmers not to sell farming inputs provided to them by government and development agents instead of using it on their farms adding that the implication of selling farming inputs is denying themselves and other farmers in the future the opportunity to receive such inputs. According to Babale, the support to the farmers was a demonstration of commitment in ensuring food security in Adamawa state by providing and facilitating access for small holder farmers the right inputs they need to produce food and live with dignity. In Benin Kebbi, the Commissioner for Agriculture and Natural Resources, Alhaji Mohammed Dandiga, implored the beneficiaries to make good use of the inputs for the intended purposes only so as to improve their productivities. “You are not the only dry season farmers in the State but you are privileged to be among the selected farmers to benefit from this gesture. That is why it is very important for you to keep to all the rules and ensure you fulfil your own side of the commitment so that other farmers will benefit as well. We have to express our gratitude to Oxfam for selecting Kebbi State for the Project,” said Dandiga. Corroborating that, Oxfam Livelihood and Private Sector Manager, William Mafwalal, said the project is supporting the state government in its efforts towards improving agricultural productivity, enhancing food security and reducing poverty, especially among small holder farmers in rural communities. “This is just the beginning of the full implementation of the project. It is a four-year intervention with lots of components all aimed at fighting hunger and building the resilience of farmers,” noted Mafwalal.